DES MOINES, Iowa — Da’Quan Love, 26, remembers the moment he decided to run for office. It was December 2017, and Jimmy Dixon, a Republican serving in the North Carolina General Assembly, declared the financial crisis of 2007-08 “a wonderful blessing” because it imposed fiscal responsibility on the state. Love had been raised in Virginia by a single mother who worked in state government and supplemented her income with nursing work on weekends. Dixon’s blessing had nearly spelled ruination for Love’s family. Love ran on school funding, expanded health care options and better jobs. Wearing his signature orange sneakers, he walked, knocking on doors across the rural expanses of the district, talking to people who had never felt part of the political process. Orange, in turn, became the color of his campaign. “I literally emptied out my life savings into that campaign,” Love says. The realities of financing a campaign were a “slap in the face.” So were the grim realities of partisan redistricting, which in North Carolina had been successfully undertaken by Republicans to boost their share of statehouse seats. Love won the Democratic primary, in which 4,262 people cast their ballots, by 640 votes. But in the general election Dixon got some 13,465 votes, nearly double what Love received. Now, a year later, Love was in Des Moines, Iowa. He was wearing an orange windbreaker from the 2018 campaign, but he wasn’t running for anything. He was, instead, learning to be a campaign staffer at Arena Academy, a boot camp for progressives that hopes to place 450 graduates on Democratic presidential campaigns, and another 550 on down-ballot races of consequence. The broader hope is to replicate, if not mimic, the talent pipeline that has long sustained the conservative movement. 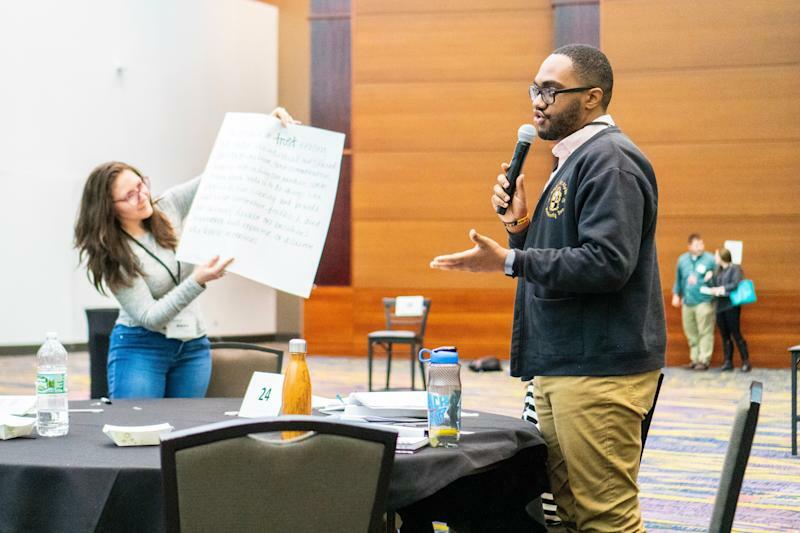 "I’m here because I want to learn what it takes to make sure that we can elect more folks who want to fully fund our public schools, expand health care access and, quite frankly, just leave our world better than we found it,” Love said on the second of five days of training, which would culminate in a competitive campaign simulation. At the same time, the Republican National Committee was investing in state GOP parties, where much of the real work of political campaigns was done. This was a crucial development because, as the Democratic strategist explained, “the state parties are the ones that are actually on the ground,” the “eyes and ears” of the central Washington apparatus. So while Republican state operations were expanding, grooming operatives across the country, Democrats were doing almost no similar preparation. That is finally starting to change. 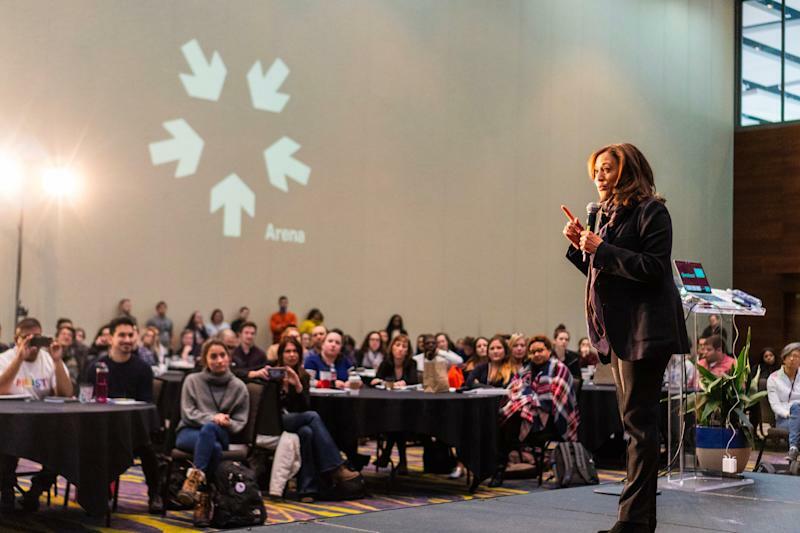 Just days before the inaugural Arena Academy class showed in up wintry Des Moines, the DNC announced its own training program, Organizing Corps 2020, which aims to train 1,000 rising college seniors to work on presidential campaigns. The training, which will be paid, will take place in swing states like Wisconsin, Pennsylvania and Florida. At the same time, the Democratic Congressional Campaign Committee has in-person trainings it calls DCCC-U. Nor is the problem merely one of numbers. The first-ever Arena training — a second is scheduled in Charleston, S.C. — took place at a time of greater attention to how politicians treat their staffers, many of whom are young and underpaid. Sen. Bernie Sanders, I-Vt., has been forced to acknowledge, however reluctantly, charges of sexism during his 2016 campaign. And another presidential aspirant, Sen. Amy Klobuchar, D-Minn., has faced allegations about the mistreatment of her own senatorial staff. In fact, as Arena Academy attendees listened to an opening session about the need for inclusivity and respect during the training, Twitter devoured the latest report about Klobuchar’s alleged abuses, this one from the New York Times and involving a salad-shoveling comb. Arena began as a series of gatherings in the wake of the 2016 election: “almost like a Woodstock of politics,” Gupta says, though presumably without the acid trips in muddy fields. Former presidential candidate Martin O’Malley attended, as did Tony Schwartz, ghostwriter for Donald Trump’s “The Art of the Deal.” Gupta eventually quit his job as an operator of charter schools and joined forces with Catherall, who was running an agency that offered free support to progressive political candidates. 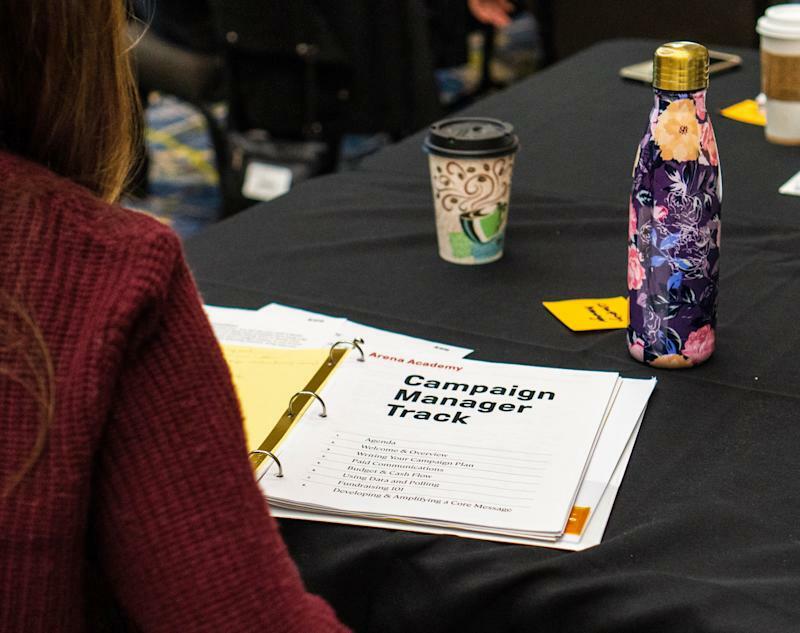 In preparation for the 2018 midterms, Gupta and Catherall decided to provide free campaign coaching to more than 50 candidates who shared their progressive views. They recognized that while the desire to score a win against the Republican Party was great, many progressives were eager to run for office without much awareness of the demands such a run would require, especially if it were to result in victory. “That whole world of consultants, and vendors, and the party, is very complex and hard to navigate if you're doing this for the first time,” Catherall says. 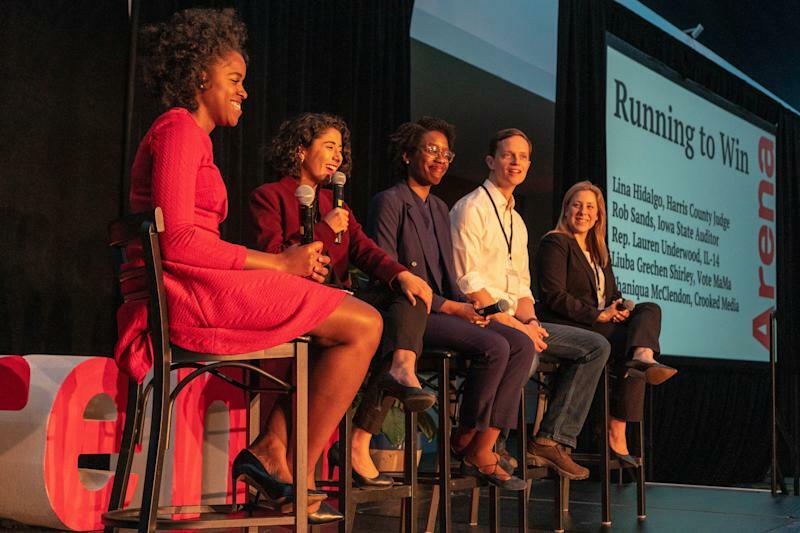 Among the candidates Arena groomed was Lauren Underwood, who successfully won a House seat in suburban Chicago last November, becoming the youngest African-American woman ever elected to Congress. A nurse by training, she decided to seek office out of alarm over Republican plans to repeal the Affordable Care Act. Alessandra Biaggi, another Arena-supported candidate, won a critical seat in the New York state Senate, unseating a Democrat who often caucused with the chamber’s Republicans. And at 27, Lina Hidalgo became the first Latina to ever lead Harris County, which includes the city of Houston and some of its suburbs. “I was nobody's priority except for my Arena person,” Underwood said of the support she received from Catherall, settling into a booth at the Hilton’s restaurant after a cramped flight from Chicago. She and Hidalgo were among several alumni who came to Arena Academy last weekend. The best praise she could tender to the DCCC was its decision to abstain from backing one of the Democrats she was challenging. Other candidates were not so fortunate. In a Texas primary, the DCCC effectively scuttled the campaign of Laura Moser, who was deemed too liberal to win in the general election. Underwood won last November, but Gupta and Catherall realized that their model was unsustainable. Even as they hired more coaches, and started a fundraising committee to directly support campaigns, they realized that nothing would help the progressive movement as much as training the men and women who would work behind the scenes to push that movement forward. So they conceived the Arena Academy, a five-day event for which they solicited some 700 applications. They also wanted campaign staff to represent the diversity of the progressive movement. The upper reaches of political consultancy are so male — and so white — that last year Politico called it “the hardest glass ceiling in politics.” And without women and people of color rising through the ranks of campaign staff, that ceiling will remain as firm as ever. To that end, Arena Academy attracted an inaugural staff that was majority female and minority white. 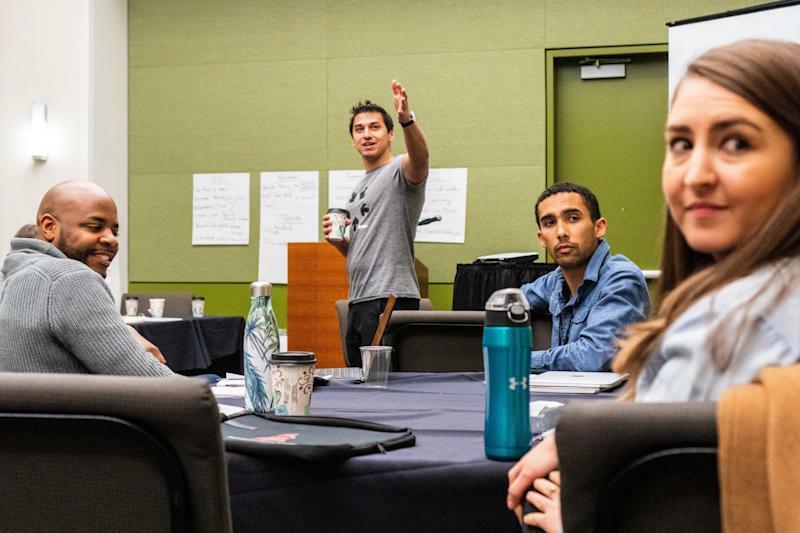 It gave out full scholarships — which included the cost of travel and lodging — to 51 percent of its attendees. The overwhelming majority of those scholarships — 70 percent — were granted to people of color. 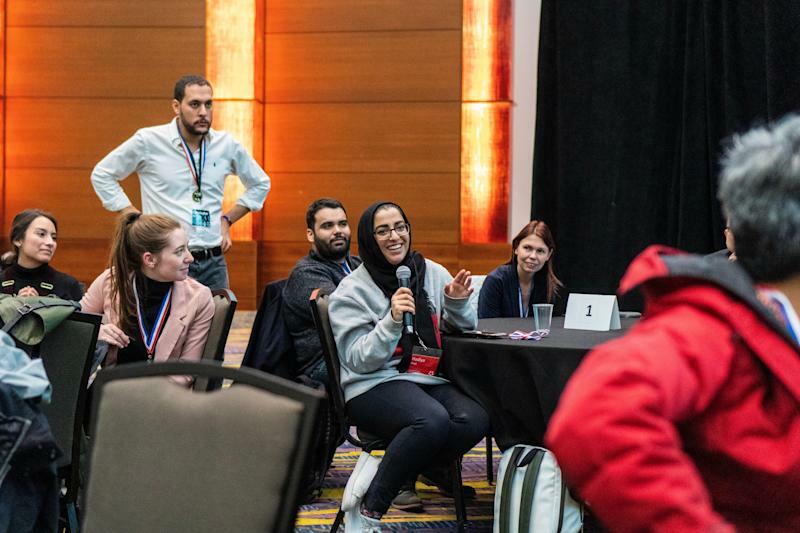 Among those who came to Des Moines was Hadiya Afzal, an energetic and voluble 19-year-old who hails from the Chicago suburbs. A practicing Muslim (her family is from Pakistan), she wears a black hijab that would set her apart in most political spaces, where Brooks Brothers suits abound. 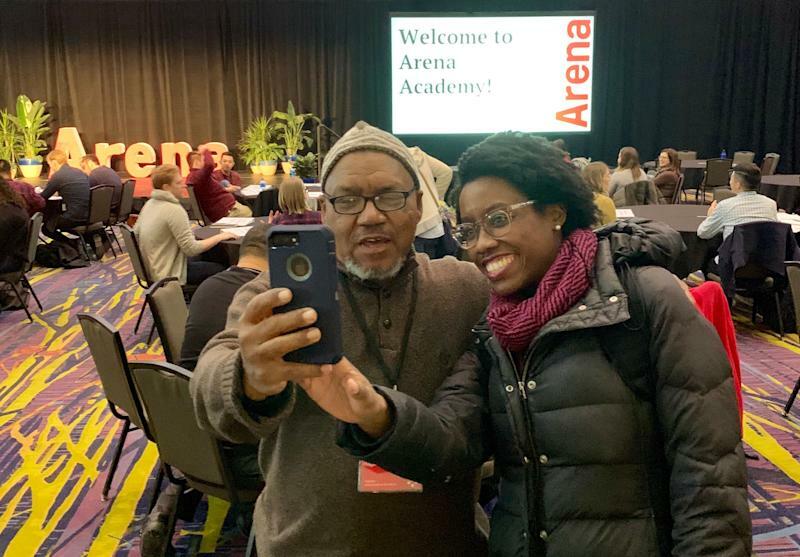 But taking time out of her lunch during one day of training, she said that Arena Academy was “a space where I can feel free to learn.” Her concentration was on the role of the campaign organizer, who is often tasked with translating the campaign’s message into a ground game. Other tracks included that of finance director, communications director and campaign manager. Like several other attendees, Afzal had already run for office. Last year she decided to seek a seat on the DuPage County board. It was a campaign she waged largely out of the living room of her parents’ house while she was attending college. “I didn’t realize how difficult it would be,” Afzal says. “Everything we did was kind of on the fly.” Losing the race made her more determined to find out what it would take to win. Though many of the attendees were young, some were well into middle age. Jean Valencia McCauley is nearing 60; the last time she ran for anything, it was for president of her high school class (she lost). She eventually moved from her home in the Santa Barbara, Calif., region to Silicon Valley, where she worked in technology and raised two children. For many years, her most significant political activity was forcing a real estate developer to curb the scale of a luxury-home project. This infuriated many Americans, including McCauley. She eventually signed on to the effort to unseat Persky, working as a campaign manager for assistant Santa Clara District Attorney Cindy Hendrickson. “I did everything,” she remembers. “I did fundraisers, I called people — and I did it from my recliner in my family room.” On the eve of the election she went on a jog, thinking they might win with 60 percent of the votes; when the votes were tallied, Hendrickson came away with 69 percent, unseating Persky. 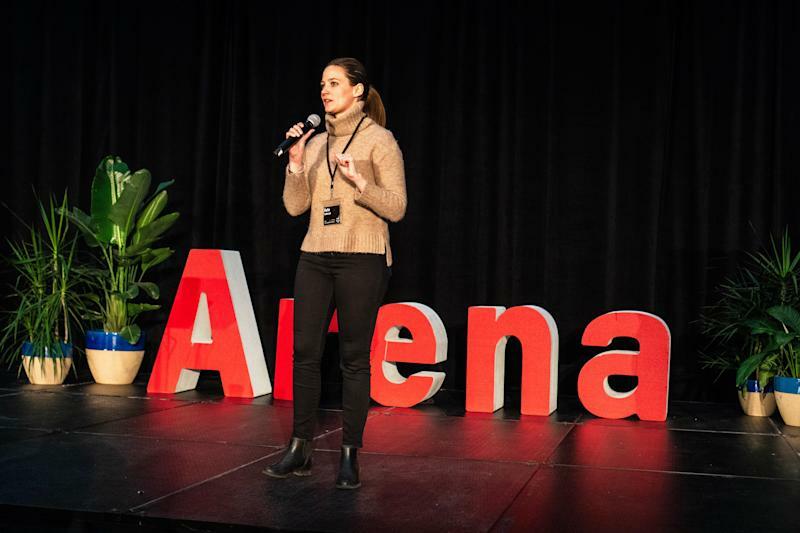 McCauley came to Arena in order to bolster what she learned during the Hendrickson campaign, especially since she has her sights on something more ambitious. “My goal is to find the right person to run against Devin Nunes,” she says, referencing the Fresno-area congressman who is a close ally of President Trump. She won’t be able to run that campaign from her family-room recliner. Much as progressives may need a training model, Gupta says he and Catherall have no interest in replicating the “command and control” structure of conservative activist groups like those funded by the billionaire Koch brothers and others. “They’re ahead of us in infrastructure, but I don’t think re-creating their infrastructure is going to be in our interests,” he says. There is much to admire about the right’s ability to recruit, retain and deploy, but Gupta envisions a progressive jazz ensemble, with some freedom to improvise, in response to what he describes as a highly scripted “marching band” mentality on the opposing side. As for the training sessions themselves, they presented a crash course that sought to quickly inculcate the attendees into the basics of campaign management. And basics is where things began. On the first day, that involved something as simple as explaining “call time,” or the practice of having candidates make fundraising calls. 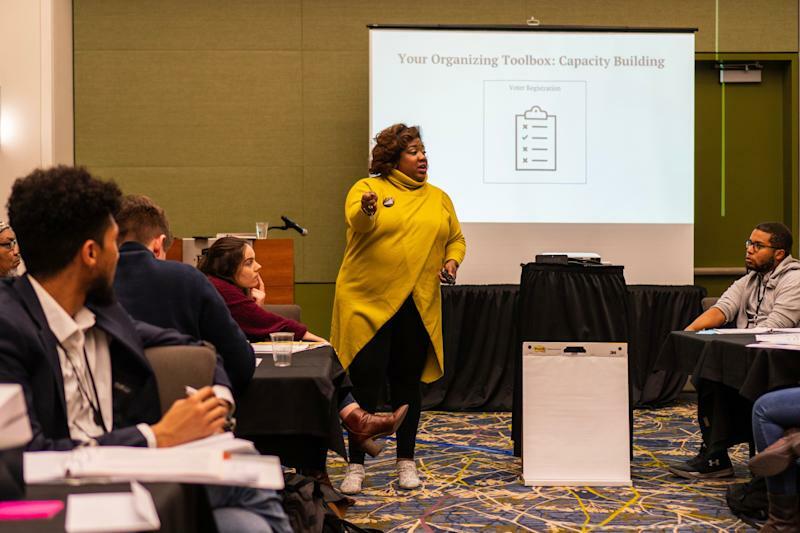 But a couple of days later, an overhead projector in the breakout session for campaign organizers included the phrases “Building a Culture of Data Integrity" and “Targeting, Building, and Tiering Voter Universes." The attendees discussed, among many other topics, whether it was better to call potential voters or send text messages. The lecturers kept things moving briskly, frequently leavening the mood with humor. One of the moderators, DeJuana Thompson of Woke Vote, urged her students to pay attention to the methods so effectively used by the tea party in 2010. “It was a movement, whether y’all like it or not,” she said. In the session for campaign managers, meanwhile, there was a lesson on budgeting. Aspiring communications directors learned how to write a press release. They also learned about “rapid response,” or what to do when the doo-doo hits the fan. As for the campaign jobs, many attendees were thinking about those well before the training was through. Upon discovering that Sen. Kamala Harris — the Democrat from California now running for president — was staying at the same hotel where Arena Academy was taking place, a trainee accosted the candidate in the gym one morning, presenting her with a résumé. “You’re gangsta!” Harris said the following morning as she related the story of the encounter to peals of laughter during a surprise cameo at a morning Arena session, before preparing to barnstorm across the state. She said she’d given the résumé to her sister Maya, who is chairing the Harris campaign.